As part of our on-going labor for promoting the IT culture and success business cases, Emergys continuously hosts webinars with interesting subjects of interest. More and more companies are embracing the cloud by the minute! Cloud computing is not just a passing trend; its overwhelming benefits are making it a staple in dynamic businesses today. Businesses are migrating to the cloud to take advantage of cost savings on hardware and software; the rapid scalability and flexibility cloud computing has to offer; and the quicker time to market that businesses depend on to remain competitive in today’s marketplace. Learn how your company can: Boost employee productivity. Provide a consistent, intuitive customer and business user experience. Present your enterprise applications with localized, social features. Embrace the consumer enterprise experience. Emergys will be featuring our latest innovation, ThinUi. ThinUi is a lightweight web-interface Experience Platform that provides incorporation for multiple business systems through one consolidated user experience. Everyone is talking about the cloud, and it sounds like a great destination. An environment where your infrastructure can change as quickly as your business demands. A place that offers flexibility, choices and governance, and provides streamlined operations, improved efficiencies and reduced costs. So what’s the problem? For many companies, it’s figuring out where to start, and not knowing how to prepare for the journey. Join us for our webinar where we will discuss the Benefits of Cloud vs On-Premise, Benefits of Cloud ERP with SAP Business All-In-One, How to Get to the Cloud and our Emergys Cloud ERP with SAP solution. During this 30 minute webinar we discuss and demonstrate our new Mobile GUI – ThinUi. A lightweight, plug-n-play, web-interface in the Cloud, that allows users to access, and interact with all of their critical business systems through Mobile, Tablet, and Desktop devices. We will demonstrate how, from a single sign-on, business users can access systems like SAP (ERP), Salesforce (CRM), Manufacturing Execution Systems (MES), current business intelligence (BI) tools they may be using and other critical business systems from anywhere, on any device. During this brief, 20 minute webinar we will outline the key considerations for your technology strategy, including approach, key decision points, and of course, the potential stumbling blocks to look out for during your upcoming Merger Acquisition or Divestiture. Learn how to prepare yourself for an SAP Upgrade or Enhancement Package install. This session will discuss system landscape requirements, SAP Enhancement Packages, Unicode and essential considerations for preparing your company for an upgrade or enhancement package installation. We will also explore landscape strategies as you move through each phase of your upgrade project. Discuss lessons learned and what challenges you may encounter. Identify the right questions to ask so that you know whether or not third-party applications need to be upgraded at the time of your project. 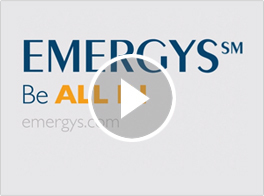 During this hour long webinar we will discuss how Emergys’ Value In-Sight, powered by IBM’s Cognos, can optimize your organizations performance in today’s challenging environment. We will demonstrate the core functionalities of Cognos’s, Analytics and Reporting modules to showcase its ability to answer three critical questions: How are we doing? Why? And what should we be doing?. If you are using Excel in conjunction with your SAP financial system or other Enterprise Resource Planning (ERP) platforms, wouldn’t you like to make spreadsheets more powerful by enhancing data integrity and placing more control on the spreadsheet process, all while limiting risks often associated with inaccurate spreadsheet information? Global’s automation will change the way you do business…for the better. 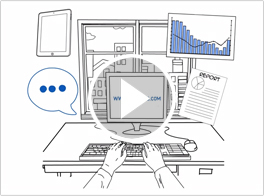 View our hour long webinar to see Emergys Value In-Sight powered by IBM Cognos in action. See how this comprehensive business intelligence and analytics tool that delivers stronger, integrated business Insight across organizations, allows them to empower employees with information, deep dive into relevant data, and plan ahead for the future. We’ll walk through the Expense Planning Module and review top-down and bottom-up planning. During this webinar we will discuss how to Avoid the most common mistakes that companies make when approaching an IT project and discover when and how testing should be integrated into your project lifecycle to ensure its success. View our hour long webinar and discover how SAP Global Trade Services allows companies to reduce import transaction cost by self-filing directly with US Customs. We will demonstrate the integration with SAP ECC, Import Process, and the electronic communication with US Customs.